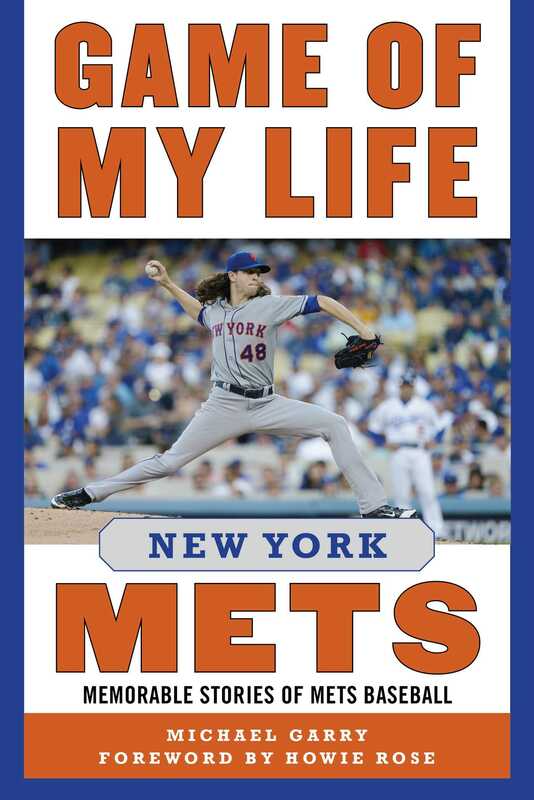 Game of My Life New York Mets, now newly updated, takes a personal look inside the biggest moments of the Mets’ greatest and most beloved players, from journeymen to superstars. Their most unforgettable games paint a picture of Mets history, as the franchise morphed from a dismal (though lovable) expansion team in 1962 to World Series Champions in 1969 and 1986 and then back to basement dwellers before meeting the Yankees in the 2000 Subway Series, and the Royals in a surprise appearance in the 2015 World Series. Fan favorite Ron Swoboda recounts making “The Catch.” Infielder Wally Backman relives the many thrills of playing on the ’86 Mets as they marched to a championship. All-Star Edgardo Alfonzo describes going six-for-six, including three home runs, in one of the most dominating offensive games in baseball history. Right-hander Bobby Jones recalls pitching the most dominating postseason game in Mets history, when he threw a one-hit shutout to clinch the 2000 National League Division Series against the San Francisco Giants. Current ace Jacob deGrom recounts his gritty series-clinching performance against the Dodgers in Game Five of the 2015 NLDS. Journalist Michael Garry, a lifelong Mets fan, also includes stories about Tom Seaver, Mike Piazza, and David Wright, among others. Michael Garry is a business, technology, and environmental writer and editor with a thirty-year track record. A Phi Beta Kappa graduate of MIT with a degree in political science, he has a passion for sports, music, writing, and politics. He lives in Danbury, Connecticut, with his wife, Maureen, and his son, Ethan. His greatest moment as a Mets fan was watching Mookie’ s grounder elude Buckner in the ’ 86 World Series.